If you’re looking to add a new polymer slate roof to your home and wish to add Old-World accents, consider the ornate decorations the Scottish add to their roofs. While certainly not appropriate for all homes and structures in our country, the wrought iron railings and decorative accents incorporated into these buildings adds a unique charm and elegance. Less ornate applications could make a home in the United States a show-stopper! Inspiring and unique, the roofs in Scotland are generally made of older slate. 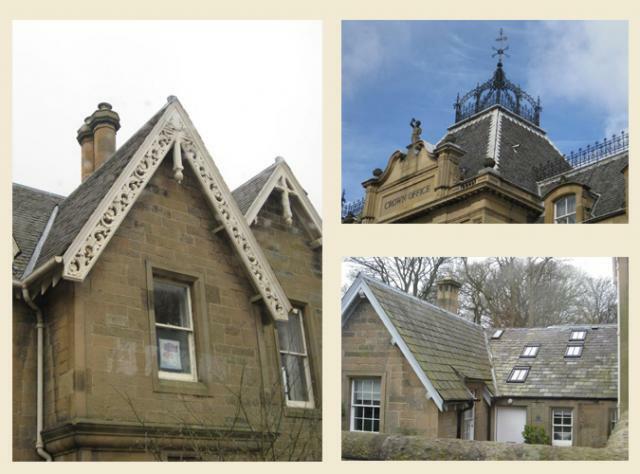 Fraught with the problems of algae and deterioration, the Scottish could certainly benefit from incorporating polymer slate tiles into replacement roofs!